The final member of the Loser’s Club has been chosen. Variety revealed last week that Isaiah Mustafa has signed on to play the adult version of Mike Hanlon in IT: Chapter 2. Chosen Jacobs, who portrayed Mike in the first film, revealed the news on his Instagram. The former Old Spice spokesman joins Jessica Chastain, James McAvoy, Bill Hader, and Jay Ryan, who will be playing Beverly, Bill, Richie, and Ben, respectively. Bill Skarsgard is also set to return as Pennywise the Clown. Returning to direct is Andy Muschietti with Gary Dauberman handling the script. Production for the sequel is expected to start this summer. IT: Chapter 2 hits theaters September 6, 2019. Meanwhile, Mustafa recently finished up the final season of the Freeform series Shadowhunters. Last week, production for the Wonder Woman sequel started and director Patty Jenkins and Gal Gadot shared some new information about the film. For one, the movie is called Wonder Woman 1984. Photos from the set were also shared and one reveals that Chris Pine is in the movie. This is strange because, spoiler alert, his character Steve Trover died in the first film. It’s unclear what his role is in the film, but seeing as he’s wearing a Member’s Only Jacket, which were popular in the 80s, it suggest his character is alive and well. Wonder Woman 1984 sees the return of Patty Jenkins and stars newcomers Kristen Wiig as rival Cheetah, and Pedro Pascal. Charles Roven, Deborah Snyder, Zack Snyder, Jenkins, Stephen Jones and Gadot are producing the film. The movie opens in theaters November 1, 2019. Last week it was revealed that former DC Entertainment co-president and chief creative officer Geoff Johns would be leaving for a writing and producing deal. The job has been left to Walter Hamada, who’s been looking over DC’s upcoming films and is deciding which ones will get made and which ones will get shelved. The first Hamada approved production is the Joker origin film now confirmed to star Joaquin Phoenix. Todd Philips helms the film, which is expected to start filming this fall. Martin Scorsese serves as executive producer. As for Joker’s nemesis Batman, things are uncertain. We’re not sure when production will start for The Batman, but we do know it won’t star Ben Affleck. Many have been making this claim over the last year, but the latest report is Matt Reeves turned in a script that focuses on a younger Dark Knight. Other DC films in the works are Cathy Yan’s Birds of Prey, Jared Leto’s Joker movie (try not to get confused), and the Batgirl film. 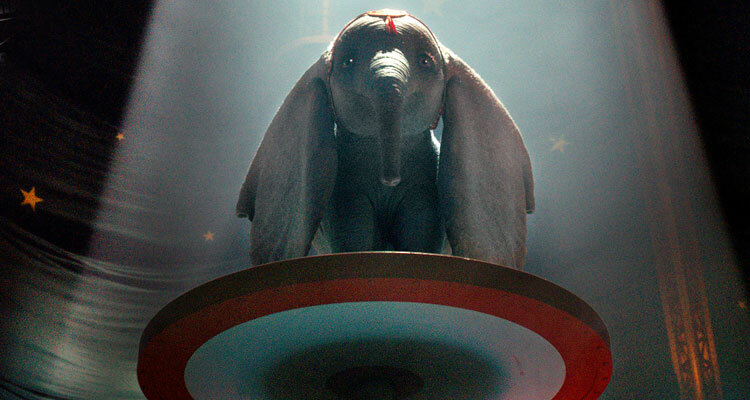 Last week, Disney dropped the teaser trailer for the upcoming live-action remake of Dumbo. The clip doesn’t provide many plot details but it’s full of Burton’s other worldly visuals with glances at Dreamland and Dumbo taking flight. If the trailer wasn’t gloomy enough, it features Norwegian pop star Aurora singing “Baby Mine.” Looks like this movie will be a crying fest. This only one of the many live action remakes Disney has in store for their animated classics. Revamped movies include Jon Favreau’s The Lion King out 2019, Guy Ritchie’s Aladdin, also out in 2019, and Niki Caro’s Mulan out in 2020. Dumbo stars Colin Farrell, Michael Keaton, Danny DeVito, Eva Green, and Alan Arkin. It’s set to open in theaters March 2019. R.R. 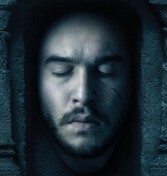 Martin, Game of Thrones writer, revealed last week that HBO has already shelved one of the five planned spinoffs based on the TV show, which will end next year.